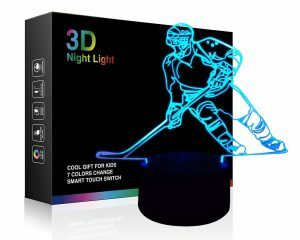 Top 10 Best Hockey Stick 2019 – Hockey is one of the finest sports which is liked and played in many countries. 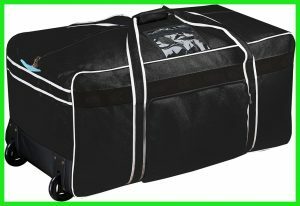 In order to compete with modern hockey standards, you must need to upgrade your hockey gear from time to time in accordance with changes in hockey equipment. 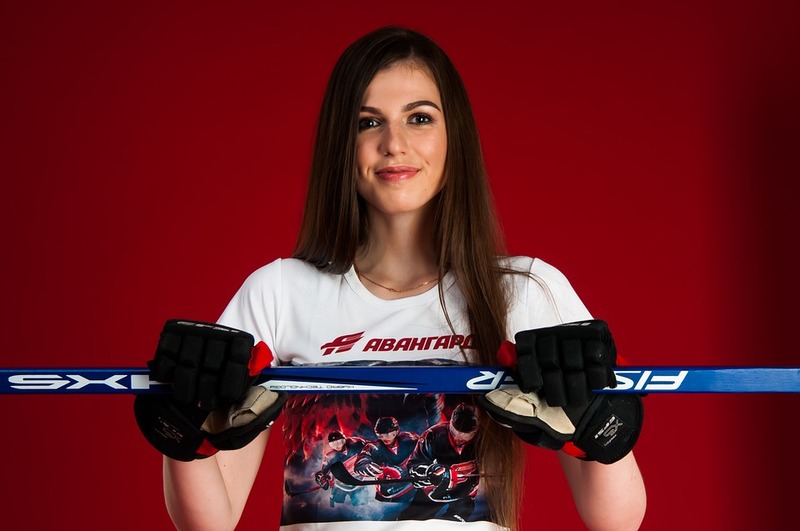 As the play name suggests “hockey” itself, so it is necessary to have a right hockey stick that you feel comfortable with while playing hockey. There are several brands offering hundreds of different model hockey sticks so it becomes quite difficult to choose the best hockey stick available at a reasonable price. In order to make it easier, we have reviewed below market’s best selling hockey sticks. Have a look at our collection of top 10 best hockey sticks. Also, check out other hockey equipment reviews. The Bauer Supreme 1S hockey stick has traditional shaft dimensions with squared corners and straight sidewalls which give secure holding in the hands. 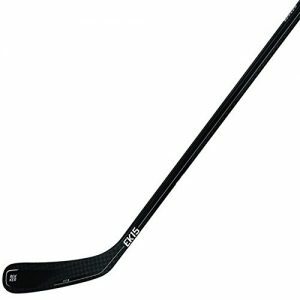 Its mono comp text stream carbon, as well as the elastic resin system in the only time, is available in this line of Bauer hockey sticks. The texturing is spread to a carbon fiber that is 20% lighter and manages impacts 20% better than 12K carbon. The elastic resin is a premier resin system that has microtubes in it that help to prevent the spreading of the microfractures so it provides better durability and also helps to extend pop life. It consists of mono comp one-piece construction that gives a much more consistent final product that is more responsive and a better-balanced feel in the hands into the kick point is a stiffened lower third with a soft and upper handle that allows loading more energy into it. 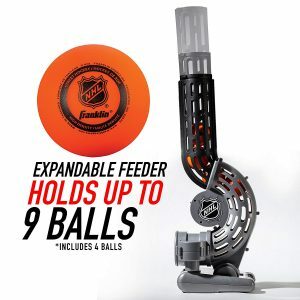 It is the most powerful kick-point from Bauer to date and then they went ahead and made it a little bit more versatile as its center zone is 11 percent more efficient and effective so really geared towards making a more versatile stick in the sense of getting a quicker shot release off without sacrificing the shot power. This is great for those power shooters who are really looking to lean into and load up on it. This Bauer supreme hockey stick comes up with a tactile grip that has always been on supreme sticks just on the underbelly on the underside that gives a little bit better feel in the hands. 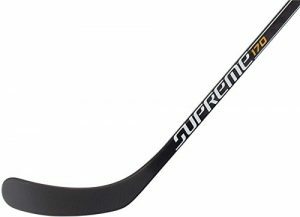 The supreme hockey stick has the pure shot blade profile which is extra material that reinforces the shaft and the blade connection point which gives better accuracy on big shots because it helps prevent the blade from opening up when you are taking those big clappers or one-timers also give a little more durability in a high slash zone that into the blade some really exciting technology. It consists of really nice high-quality foam all the way throughout that is superb dampened stick handling and puck feel but down through the center, there is a pressurized liquid state gel called renew-core. This is an in-house design from Bauer and what it does is as the blade does start to break down because all blades do eventually break down on the inside. Once micro fractures do start to occur, the gel will end up filling those and gives better support in all those areas so it increases the durability. The other thing that it does is that it actually transfers energy better than the film-core package. So you are going to get a little more pop on it as well. There is a 420 grams real nice balanced feel in the hands super lightweight that is what you would expect from Adam elite-level stick. As far as the looks and feel go, it is going to have a slightly more dampened feel because of Renu-core blade. Even though this is still coming at the same price that when it first came out but you are getting a real big upgrade with the blade. Even though it might sound a little bit gimmicky, it has proven that it is more durable that gives a little bit better energy transfer and then you are getting a more versatile kick point as well that the previous 1S was a great power stick but it kind of lacked a little bit in another quick release area because not always going to be able to take a big slap shot. So it is good that Bauer improved on that to really make it a little bit more compact hockey stick. 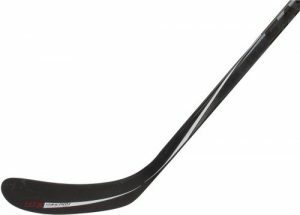 The Warrior Covert limited edition hockey stick has round corners straight sidewalls to provide a hockey player nice traditional feel in the hands. A heavy-duty blend of carbon fiber and fiberglass is used in the construction of Covert hockey stick. This is very durable and responsive as the same that you find in the top inline stick. Its one-piece construction really helps to minimize weight especially down in the lower portion gives a player better-balanced feel in the hands and also provides a little more consistency as well. Its kick point uses Dagger T3 Taper that been unique to warrior for quite some time now and it actually tapers more aggressively on the top side of the shaft compared to the bottom side. The bottom side makes sure that the blade resists twisting and torquing on big shots. It gives you a quick release really helping accentuate that flex profile so this is ideal for those players who are looking to get the puck off as quickly as possible into the blade. The Warrior has used unis spar technology in Covert hockey stick that is a single stringer which runs heel through the toe. This is the backbone of the blade making sure that the blade does not open up on big shots so it gives to hockey players a nice level of accuracy. A nice and lightweight soft core X foam is used in the construction of this limited version of Warrior Covert hockey stick. It provides bounce fuel in the hands but offers a lot of pucks feel as well. It weighs right around 515 grams so pretty solid weight for an entry-level price point that has a really nice balanced feel. Even though it does weigh over 500 grams but more importantly you are getting that true one-piece technology. You are also getting the Dagger T3 Taper in it so a lot of value at an awesome price. The True hockey stick has rounded corners and just slightly concave sidewalls which still give that nice traditional boxy feel in the hands. The materials used in this hockey is a heavy-duty blend of fiberglass and carbon fiber that gives a ton of durability and strength so the stick is going to last a long time and that carbon also gives good pop and responsiveness. 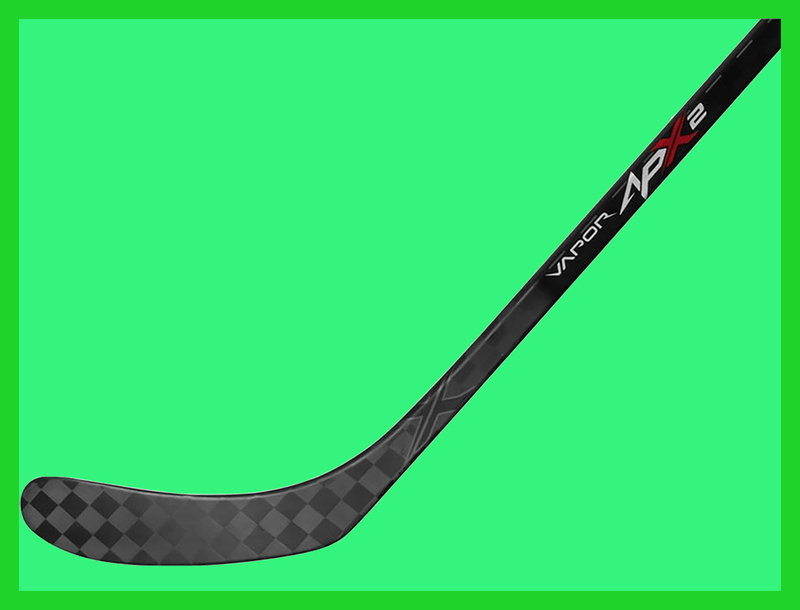 This hockey stick uses True’s patented and exclusive axenic technology. It takes that compression molded shaft and turns the stick into a true one-piece unlike what other manufacturers on the market can do now it gives it an extremely consistent shaft wall thickness from top to bottom so this does a handful of great things. The first one being is that gives it a great balance point even at this opening price point. It helps to eliminate weight but also with the consistent shaft walls it gives you great consistency in the Flex when you are taking your shots you know how it is going to respond every time. As far as the flex profile goes, it is going to be a mid kick point so this is ideal for the player who really loads up and leads into their shots and really for that guy who wants the most amount of shock power as possible. Now into the blade, it is going to be two reinforcement stringers that run heel to toe. This gives you a lot of great stiffness and rigidity into the blade. So when you are taking those big shots, it keeps that blade face square to the target giving that great accuracy and precision and then those supports also do help to protect the internal foams so then you are going to maintain that really nice puck feel and pop. So going on the overall looks of the True hockey stick, we really like how it has that dark but still kind of aggressive color-way to it does have some nice accents of blue on the top upper handle of it. Overall a sweet-looking twig but as far as the field goes, this is that opening price point sub $100 stick and that senior version it is weighing in right around 560 grams but when you really pick it up, it has a better balance to it than most of the other sticks on the market and that has to do with that ex Inuk technology giving you that true one-piece design. The Easton Synergy HTX hockey stick comes in grip and non-grip but we will review the grip version so starting this off with its shaft dimensions which are rounded corners and pretty much straight sidewalls which give a really nice solid lock in the hands. They use a premium uni-directional carbon fiber in the shaft construction and it also is compression molded so it gives you an extremely consistent flex profile from head to toe. This is very lightweight because it creates a tight wrap and it is also very responsive so when you lean into it, it will react. This Easton hockey stick has tri-core texture on the top in corners as well as the underside or belly in the corner. So it does not come on the sidewalls and adds just another dimension of just kind of overall comfort when you are holding the stick. Now getting into the Flex profile, this is what they call their mid taper flex profile. It comes closer to do a traditional mid-kick point so it is perfect for those guys who are really looking to lean into and load up on their shots as they call off the tapered profile and it doesn’t taper too aggressively into the blade which is why you do have that high kick point. 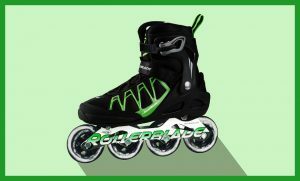 It uses two really great technologies the first one being the hyper toe blade design that is mostly premiered on the velocity stacks. There are some rods sifters in the toe that make for a really stiff toe which makes the blade act like a diving board so the further out on the toe you go when you shoot the more pop and velocity. The second is their hyper tuned technology that changes the stiffness rating of the blade to match what stiffness rating of your shaft is so the 65 flex has a softer plane blade. The big benefit from this is that it allows players to capitalize not only on their shafts flex profile but also their blades and make them able to load and release with the ton of velocity. 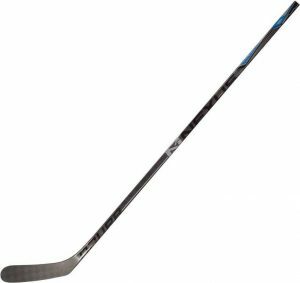 The couple carryover technology is another addition to Easton Synergy HTX hockey stick that usually used in Easton Blaze hockey sticks. It consists of the multi-rib blade design that runs heel to toe gives a really stiff blade and it allows you to get some great accuracy internally. They use their air ex-foam core which is their premium foam that they use very lightweight and also has a great puck feel. Lastly, they wrap Synergy HTX hockey stick in their premium carbon fiber which gives a really lively blade face and also helps to even out the overall weight of the stick. So the other great thing that Easton offers with these synergy sticks are a handful of different dual light curves and there is dual like curves which give you the optimal shooting angle to get the puck off quick with a lot of velocities and it really works hand-in-hand with the hyper toe and hyper-tuned technology. 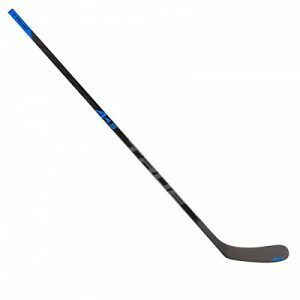 The CCM RBZ SpeedBurner hockey stick uses pro preferred tee geometries and comes with straight sidewalls with rounded corners which gives it a nice traditional feel in the hands and gives a great secure lock on the shaft. As far as the construction goes, this is a true one-piece using their premier carbon fiber composite as it shines through the paint up top. 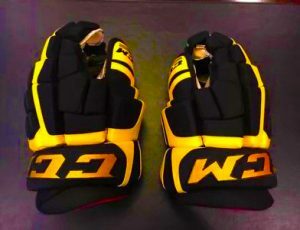 This is CCM’s most consistent, most lightweight and most responsive construction that they use in their line. It has a constant flex profile which means from the bottom to the top. This has a constant stiffness rating that allows the stick to change its flex profile depending on where your lower hand is placed. So when you take a big clapper or a big one-timer and you slide your hand down, you can flex out the shaft. It will give you that mid kick point and will flex right near where your lower hand is located. On the other hand, when you go for quick release kind of more of a low kick field, you get your hand a little bit higher on the shaft taking quick wrist in the snapshot. It will flex a little bit higher and give you low kick point with that lightning quick shot release. The blade of RBZ Superfast hockey stick has biggest change from that stage two as this eliminates one of the middle freak channels to create one large singular speed pocket down the center that runs through the edges and it results in 50% higher core and core is the coefficient of restitution which tells how much energy and velocity is returned to the puck from the blade. As you shoot so with this stick, you will get a lot more pop and a lot more velocity going through the puck then that original stage two hockey stick that had some great pop to it as well. The CCM tried to reduce the weight in the lower portion of RBZ hockey stick as much as possible to raise the balance point that provides a hockey player great balanced feel. The Bauer Supreme 170 hockey stick has squared corners with double concave sidewalls which give you a nice traditional feel in the hands but it is also nice and strong so it does not torque on big shots. As far as the shaft construction goes, this is going to be a fuse to piece using their premium carbon fiber composite so this is an upgraded version of Bauer 160 hockey stick. 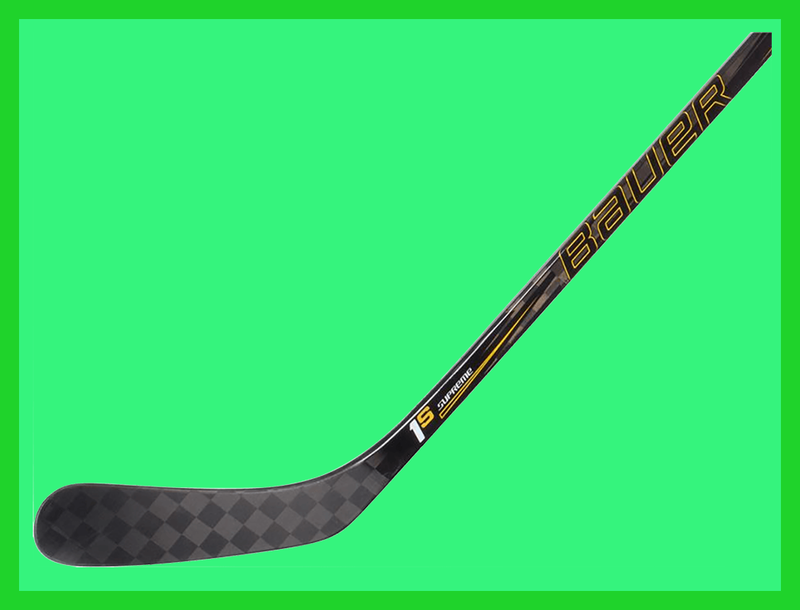 The Supreme 170 hockey stick has visible carbon fiber throughout the stick that gives you a lot of responsiveness significantly lighter to that 160 model of Bauer hockey and it also gives a much better balance point from top to bottom. The flex profile of Bauer 170 hockey stick has the amplified mid kick same one that is on the MX3. It gives you a directed kick point or right in the middle there so it is really easy to put a lot of energy into it and then in aggressively unloads so perfect for the players who are looking for maximum power and it is perfect for the guys who really like to lean into and load up on big shots as it does not taper into the blade but they did include their pure shot blade profile reinforcements and that is going to be the little bit of reinforcement between the connection point between the blade and the shaft and this makes sure that your blade face stays square to the target as you are taking your shots just kind of making sure it does not open up again gives you that great accuracy and precision internally. This model of Bauer hockey stick has aero foam one blade cord a nice lightweight foam which gives you that nice balance point and also has some good puck feel to it and they coat it with the 3K carbon fiber weave wrap to give you a better balance point pushing it up a little bit but it also makes it a little more responsive so you will get better puck feel. Now go to the overall look and feel this stick is a nice little step up from that entry-level 160 hockey stick. You know at this price point, you are getting a really well-balanced stick. 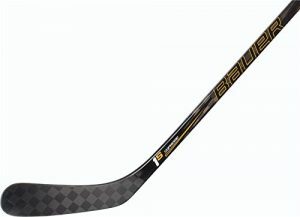 It is obviously not going to be perfect as a top of line stick but definitely for this price, you are getting a well-balanced stick with some great carbon fibers throughout the shaft 3K in the blade and a nice blade core in it too so you are getting a lot of bang for your buck in this Bauer Supreme 170 hockey stick. The Sherwood Rekker EK 15 stick has a nice shaft that sits in the hands perfectly. This has a vapor diameter which means it is a little bit smaller than most of those twigs available on the market but it has more of a supreme type of the shape so it got double concave sidewalls with nice round corners which offer really solid hold in the hands. Now getting in the construction this is going to be their spear construction so what happens is that the shaft runs all the way into the heel of the plates and when you are out there dangling, you will get a direct feel to the puck so really great puck feel out there. They also use their E-core technology which is a really great standout feature of this stick what this does is that it takes about eight times longer than the machine type of a process of most other sticks use. This just makes for a really consistent flex profile as well as a stick feel and then it really helps eliminates any of the excess materials that happen to occur during that process so it just makes for a really consistent concise type of a shaft. Its blade uses a really high-grade carbon fiber that is about 30% lighter than the competitors so it offers awesome responsiveness and some really great pop that has a nice low kick flex profile. The Sherwood Rekker EK 15 hockey stick uses vibration reduction foam core which is an evolution of that first stage that used to come in the old version of Sherwood hockey. So it really went ahead and re-engineered the internal foams and it presents a better pop life and keeps the stick feeling newer and longer. It has some really great vibration dampening properties to it. When you are out handling the hockey stick, it has a good sense where that puck does not pop off the blade. This Sherwood hockey has also nice stabilizers what they call it is a carbon fiber support that runs heel to toe this gives it great rigidity and stiffness Rula helps with accuracy because you’re taking big shots your blade tends to open up and this keeps it facing straight to the target. Now go in the overall look and feel this stick right when you pick it up, you can really tell it is 385 grams or just one of the lightest sticks you have ever picked up. We will just go in between the APX2 and the V9 kind of stick handling and shoot with all three of them and here you could really notice the difference when you are handling the stick and when you are just out there playing with it just how light it is. It gives it an even better puck feel because of how light it is you are not really dragging your stick through the puck. It is just like a direct feel for it as far as the shots go. It has a really low kick point usually players use a velocity V9 but it is definitely lower than that so you just barely have to put a little lean into it. The Sherwood Rekker EK 15 hockey stick gets some really good pop on the wrists and snapshots, therefore, it is going to be really good for those finesse type of players who really use a lot of wrists. You can see that 12 K carbon fiber running from the shaft all the way into the blade so it has a great classic look and then it just feels incredible so at this price point, this is pretty unbeatable we really think they did a killer job with this hockey stick. The Fischer CT150 composite ABS hockey stick has rounded corners straight sidewalls that give you a nice comfortable feel in the hands. As far as the construction goes, that is going to be a composite fiberglass blend utilizing their mono-coque technology. This is unique to Fischer in the sense that it actually eliminates the fusion point between the shafts in the blade. It helps to give you a better-balanced feel in the hands which also makes the overall construction of the shaft much more consistent. It also uses cap technology which is a micro-thin foil system that adds a lot of durability especially for those outdoor players who are looking to have a stick that is going to last a long time. Now look into the kick point, this is a traditional mid-kick point ideal for those power shooters who are really looking to load up lean into their shots regardless of what type of shot it actually is. Fischer CT150 uses Responsive Hosel Technology (RHT) that really reinforces to help prevent the blade from twisting or torquing on big shots so this does two things for you. First, it gives you better accuracy especially on those big heavy shots and secondly, it gives you a little more power because you lose power when your blade twists. So kind of beefing it up in both of those senses, we have their carbon composites. An ABS poly air bond blade offers really nice puck feel. Another thing we like about these composite ABS blends is that it feels so much more like an on-ice stick or an indoor stick because these ABS blades tend to open up a little but you can feel that on those shots. This is significantly stiffer so it can give you better accuracy with better feel out there overall. As far as the weight goes, this Fischer CT150 composite ABS hockey stick weighs 595 grams in the senior version so obviously it is not the lightest stick on the market but the thing we really like about it aside from the nice kind of looks with that full carbon composite ABS plate just offers so much better feel and accuracy than a full ABS blade. The Bauer Nexus 8000 hockey stick comes in grip and non-grip but we are going to check out the grip so starting us off with shaft dimensions. It has rounded corners double concave side walls which are not too deep but they still offer nice contour hold in the hands. Its Flex profile is their traditional line, traditional family of Nexus so it has the true mid-kick flex profile that is very stiff through the center and then at the ends they actually soften it up in the hosel as well as the upper handle and this just adds a little more responsiveness and a little more lively feel when you are taking your shots. A really cool advantage that this nexus flex profile offers is that on big slap shots or one-timers. It gives you thorough power and then when you try to just get something quick off for like a wrist or a snapshot, it will give you that quick release. Now get into the actual design and construction this is a true one-piece design so there is no fusion point between the shaft and the blade and then they also use their signature texturing carbon profile. These are the checkers that are running all the way from the top of the handle all the way into the blade. It uses a very tight weave that is one of the premier carbon fibers on the market so it is really lightweight more importantly it is very durable as well. Continuing with durability Bauer Nexus 8000 hockey stick use their signature elastic resin system which just helps reinforce the carbon fiber with micro nano-tubes and what this does for you is that when you get a little slash, it prevents it from growing so it does not absolutely shatter but it gives you a little more durability and it also preserves the pop life so it is going to keep it feeling newer and longer. Getting into the play this is where we see the other big change can pay compared to that Bauer Nexus 1000 hockey stick as Bauer Nexus 8000 has an additional sense layer that is very similar to what a premiered PX2 has. Now instead of it just being a weeb or a wrap that sits on the face, it is actually integrated into the material on the blade face on the back as well as the edges. They use that sense layer which does two awesome things. The first thing being when you are handling the stick, it will give you a lot better puck feel you will have a really great idea that puck sitting on your blade. The other great thing is that just like we said how it wraps all over the blade it adds an additional layer that does not add weight. So you can move hockey stick freely. If you are digging in the corner so you get like a little chip on your toe. It is going to help prevent little things or if you are out there celebrating a nice goal and you are banging your stick on the ice, it is going to help prevent little chips from happening down there too so it is added into that durability and it also gives you better puck feel. The actual inner core is very similar to that Nexus 1000 so it is a dual density blade core that has a really nice puck feel and has some really good pop and eye explosiveness to it as well. So now we go to the overall look and feel, this hockey stick we really like how minimal the graphics are but they still have a cool kind of aggressive look to it. They also added that nice blue up at the top as far as the overall fill goes. This is an incredibly lightweight stick just as you would expect from Bauer has a great balance point to it and they really listen to the consumers on what they can improve on. So they went ahead kind of re-engineered or kind of tweaked with the Flex profile just a little bit to give you a little more responsive feel and they also come in and out of that awesome since layer that will give you that great puck feel as well as some good durability. The STX Stallion 400 hockey stick has slightly rounded corners double concave sidewalls which give you a nice contour and feel in the hands. As far as the construction is concerned, speech app technology is used in this model of STX hockey stick that means the shaft runs all the way into the heel of the blade so it provides a direct feel for the puck when handling the stick. Its full prospective K carbon fiber in the shaft as well as into the blade is very popular in the NHL because a little more traditional feel still is very durable and lightweight as well as responsive. The Stallion 400 hockey stick comes up with a dual zone grip texture to the upper portion is sort of a matte grip just a slight grip finish with a raised texture and the bottom portion is a clear gloss finish. So when you need some grip on your upper hand, that will not move around too much which gives you a really nice solid hold. 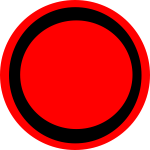 When you drop it down and hurry or if you are taking the base off, you need to move it back up that clear finish that will allow your hand to move quickly. As far as the point is concerned, it is going to be what they call their power flex. This is a constant kick point but plays a much more similar role to a traditional mid cape point. So it is ideal for those players who like to load up and lean into their shots for maximum shot power. The Stallion 400 has four reinforcing bridges which run heel to toe so it is going to be a very stiff construction that has a really high-density foam package too. Therefore, working with that powerful kick point, it will give you maximum energy return on those big shots while that quad-core construction prevents the blade from the opening which provides you with pinpoint accuracy. It weighs around 460 grams so it is very lightweight that you can use for high kick point shots comfortably. The STX Stallion 400 hockey stick is a very high-quality elite level design at a fraction of the price. 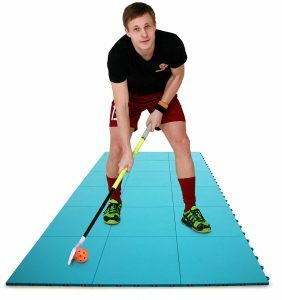 It is probably the most important element to consider when you are looking for the best hockey stick as it determines the level of strength and comfortableness when handling hockey stick in your hands. Hockey sticks come in different price ranges which lie between $40-$250. To find out which hockey stick suits you completely depends on your play level. If you are a beginner and going to play club level hockey, we will suggest you go with intermediate level hockey sticks which are available at cheaper price. But if you are going to play hockey at a professional level, you are recommended senior hockey sticks which are relatively expensive but durable and responsive. It is kind of scale to measure the flexibility of the hockey shaft that is a rate between 35 to 110. If the flex shaft is 35, it is considered the least flexible whereas when the flex shaft is 110, it is assumed as stiffest flex level of the shaft. Stiffest hockey sticks are suitable for those players who mostly play defensive and long shots where more energy is required while hockey with the less stiffened shaft is good for forwarders who need less resistance in the flex for snap and wrist shots. There is two kind of material used in the manufacturing of hockey sticks composite and wood. In the early ages, only wood was used to make hockey sticks but now in the modern times, mostly hockey sticks are crafted with composite a very light-weight and durable fiber material using state of art technology. Despite the fact that wood hockey stick has a better and authentic feel but a composite stick is a true one-piece product which is expensive but more responsive and durable than wood hockey sticks. Both two piece and one piece hockey sticks have their own pros and cons but in our opinion, the one-piece hockey stick has an upper edge over two-piece hockey stick as it uses one piece construction so there is a consistent flex point without having a break between your hands and puck. It is light-weight and more flexible. 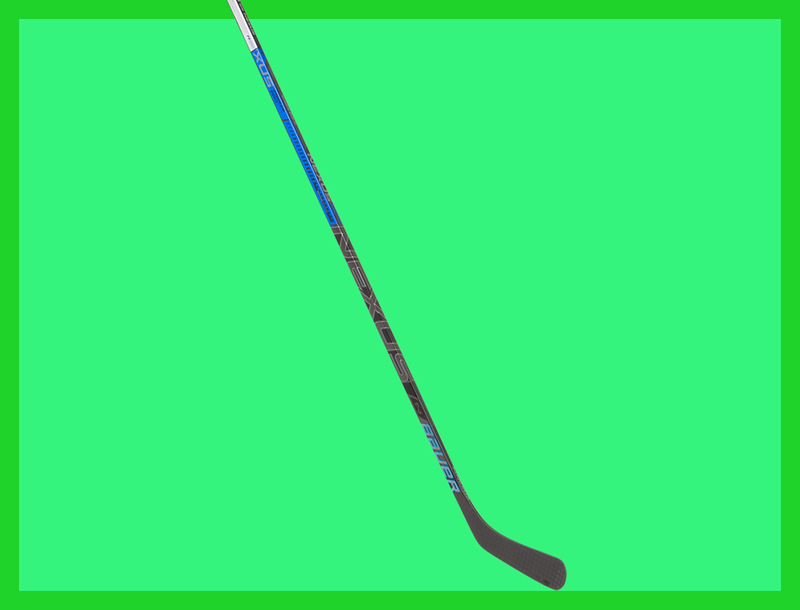 On the contrary, in the two-piece hockey stick, there is a break between blade and shaft due to which sometimes it becomes difficult for a player to handle the stick and slips when applies too much force for long shots. But you still have the edge in two-piece hockey sticks to choose the blade and shaft of your own choice. Concluding with the hope that this hockey sticks review might help you out to select the best hockey sticks as per your stick handling preferences. If you still have any concerns or questions regarding hockey sticks, please write us down in the comment section below. We would always like to assist you. Check out the best hockey skates. 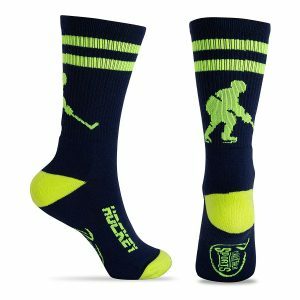 Best Hockey Gear Reviews 2019 will use the information you provide on this form to be in touch with you and to provide updates and marketing.